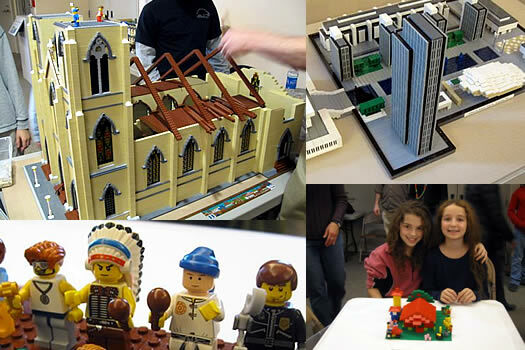 This weekend, fortified by turkey and stuffing, teams from all over the Capital Region competed in the Albany Institute of History and Art's first LEGO Building Challenge. Teams of LEGO-maniacs faced off on Friday, Saturday and Sunday. 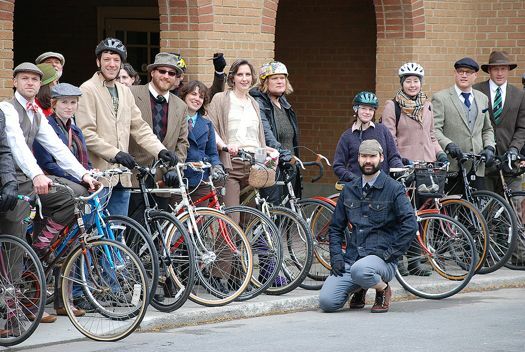 Their mission: create Albany architecture from either the past, present or future. Jeremy Snyder loves a good chocolate chip cookie. 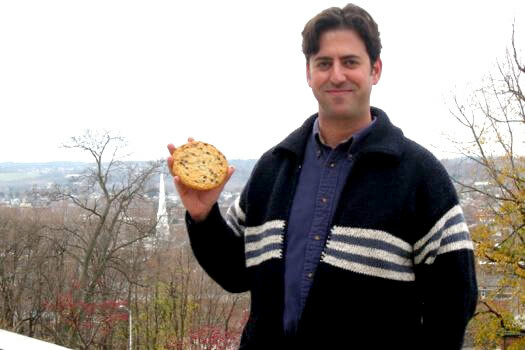 The Albany resident and father of two describes the chocolate chip cookie as "absolutely my favorite food ever." He's been baking them since his childhood and has amassed a huge pile of chocolate chip cookie recipes. So maybe it isn't a surprise that he and his family took on the methodical task of unearthing the perfect chocolate chip cookie recipe -- the chocolate chip cookie that towers above all others. The apex of sweet, chocolat-y, ooey-gooey on the inside, and crisp on the outside. 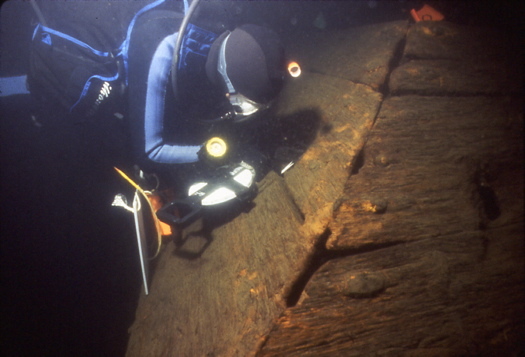 It took over a month, a lot of research, and the assistance of some 40 volunteers -- but they got there. Or darn close. 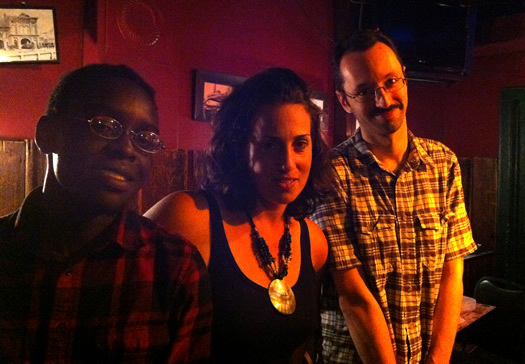 Front Parlor founder Abby Lublin, with partner Tolu Fashoro and storyteller Chris Bassett. They say everybody has a story. And Abby Lublin wants to hear them all. Abby is the founder of the monthly Front Parlor storytelling series in Troy. We've been meaning to make it over for a few months, and last night we were part of the standing-room-only crowd at The Ale House. Kevin working on the Troy Music Hall mural in August. Kevin Clark likes to do things big. Kevin's a mural artist -- you've probably seen his handiwork on Capital Region Walls. The "Welcome to Troy" mural? His. 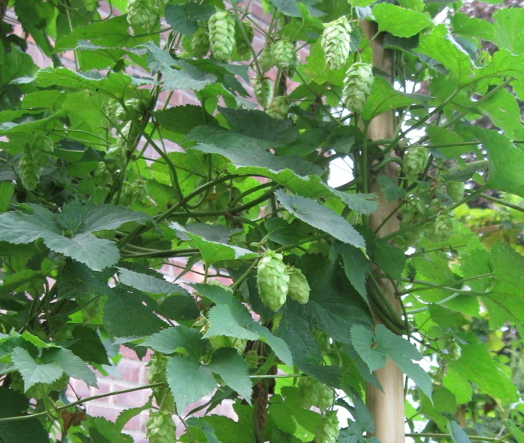 The one on the side of Brown's Brewing? His. He's also responsible for works on the walls of a bunch of schools, arenas, restaurants and shopping malls around the Capital Region. 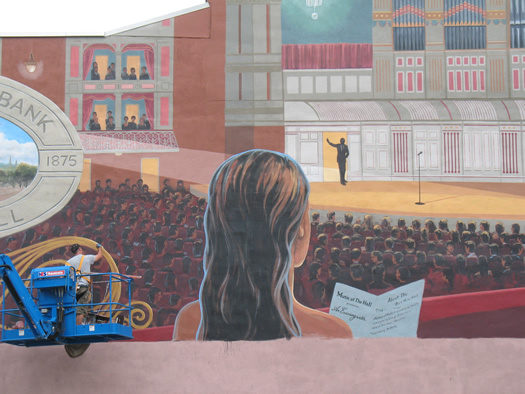 His latest creation stands on the side of a building in downtown Troy and depicts the interior of Troy Saving Bank Music Hall. Just passing by his work kind of brightens our day. And after we caught him in action last month in Troy, we had a few questions about this large scale work and the guy behind it. Kevin's answers, and some more of his amazing work, after the jump. It's like a giant "Where's Waldo" game for Center Square. Laura Glazer and Lori Hansen think Albany's Center Square residents are proud of their neighborhood. So when they were working on a 1st Friday project for the big windows at Capitol Wine, in the heart of the Washington Park/Center Square neighborhood, they wanted to find a way to express that pride. The photographer and graphic artist considered a number of ideas before settling on the one thing that neither of them felt they were good at: drawing. The result: some fun rolls of Center Square "wallpaper" that are fun, quirky and as it turns out, just a tiny bit AOA inspired. Photos and a little more from Laura Glazer after the jump. Dirty, yes. Dangerous-- sure. But kinda cool. Italy, France, Belgium, Windham N.Y. 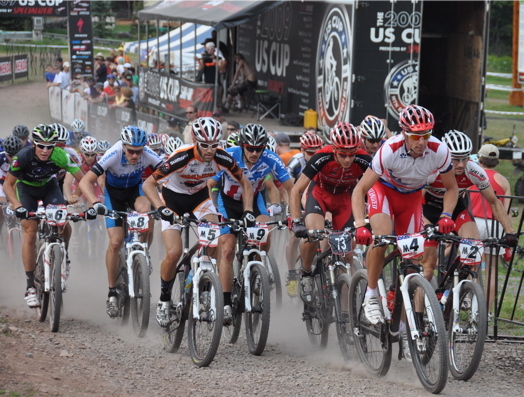 The final leg of the Tour De France of Mountain Biking-- The World Cup Mountain Bike Finals -- gets rolling this week about an hour from Albany. The best mountain bikers in the world are gathering on Windham Mountain this weekend to compete for the World Cup title. This is the first time the World Cup final will be held in the U.S., and it's the first East Coast World Cup race ever. After the jump, a few details about the weekend and some video of what you can expect to see. An often strange (and fun) box of chocolates. Not everything you find there will be to your taste, but you'll marvel at the wide variety of cool ingredients. At the Warehouse is a little bit Restoration Hardware, a little bit antique shop, a little bit craft store and a little bit kitschy history museum -- with a whole lot of je ne sais quoi. Man on a wire -- sort of. So we were walking through the Washington Park neighborhood yesterday when we saw this long rope tied between two trees. It kind of looked like a makeshift dog run or something. But when we came back a while later, we got this picture of its real purpose. Filmmaker and musician T'Chaka Sikelianos says tightrope walking is something he learned to do when he lived in Portland. Oregon. "People do it a lot there -- just for fun. To pass the time." He's gotten pretty good at it too. A few more pictures after the jump. More style, less angst. But points if you dress like Ducky. Ever wondered what it would be like to go back in time and redo your high school prom, but this time without the nerve-wracking search for a date or ridiculous cost of a five-minute limo ride? Well, that's just what the Albany Society for the Advancement of Philanthropy aims to do on Saturday, May 29 -- give Albany adults the chance to get down, give back and leave the stress out. This looks like fun: the RPI hockey team practiced outside yesterday on the frozen pond in Cohoes' Van Schaick Park. The Engineers are at #13 Union this Saturday at 7 pm. Ever notice how many cool old retro signs are hanging around the Capital Region? I can't help it -- I find something about about all that kitsch rather charming. The other day I got thinking about some of my favorites and made a list. Some of my favorites (with pictures of course) can be found after the jump. 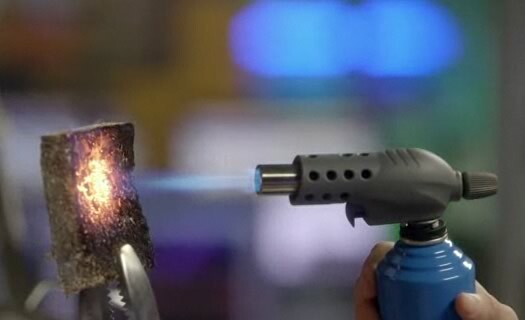 This is funny/cool/awesome: Ecovative's Greensulate material (you know, the insulation made from mushrooms) showed up as evidence on CSI:NY last night. Here's the episode -- the segment name-checking Ecovative and Greensulate is at 25:20. It's a pretty great spot for the product. The characters talk about how it's fire-resistant and eco-friendly. But there's a mystery -- how did "cutting-edge insulation get on our vic?" Hmm. Ecovative, which was started by two RPI grads and is now based in Green Island, has been been getting all sorts of attention recently. Founders Eben Bayer and Gavin McIntyre were on CNN in September. Bayer spoke at spoke at the nerd-chic PopTech conference in October (here's video). And now they're helping Gary Sinise catch bad guys. Ever hula hoop? Yes, hula hoop. Most of us had a hoop of our own when we were kids. Well, apparently it's kind of a thing again -- for fun and for fitness. You can still find some of the standard, garden variety hoops in the toy stores next to the boxes of colorful rubber balls, but Wende Smith would rather make her own. And hers have sparkly pink and purple butterflies and other cool stuff. 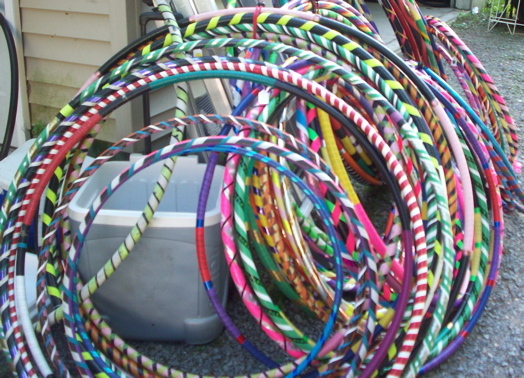 Wende is a Saratoga County mom and the owner of a little company called Happy Hoops. Kaitlyn Ross knows cold. It seems Capital News 9 is always sending her out into to it to do live shots in blizzards and ice storms. But there's cold and there's cold. Greenland is that second kind of cold -- the temperature there rarely gets above freezing. So, of course Capital News 9 would send Kaitlyn there. She and photographer Victor Lopez went along with the New York National Guard's 109th Airlift Wing -- which is based at the Stratton Air National Guard Base in Scotia -- on a support mission to the science stations in Greenland. 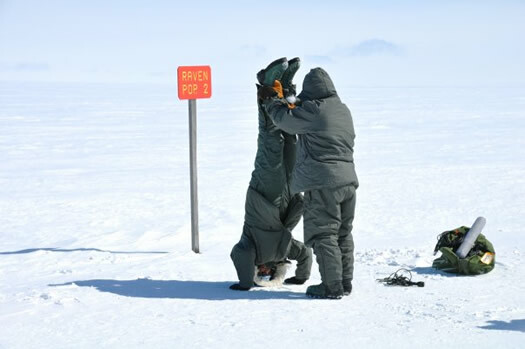 (The 109th is the wing that flew the Antarctic rescue flight for Dr. Jerri Nielsen 10 years ago today.) Their story about the trip airs as a half-hour special on Channel 9 this Saturday at 7 pm and Sunday at 10 am (a series of smaller segments is also online). It sounded like a wild ride. So we emailed Kaitlyn a few questions -- and she bounced back answers about bundling up, bed bugs, and badass National Guardsmen. He's not very photogenic-- but he's helpful. Lots of them, in fact. And they're living under her kitchen sink. 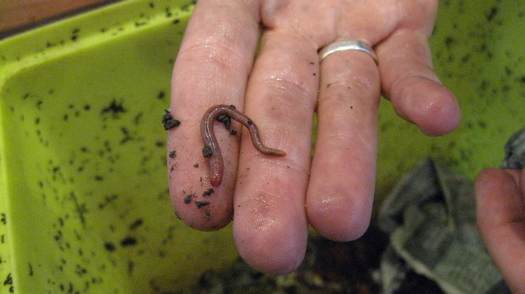 The Albany resident, whose blog Our Yellow House documents DIY crafts, cooking, gardening and raising her two girls in the mansion neighborhood, got the worms awhile back to help her compost food waste and garbage. So how's that working out for her? Speeding Car + Ramp + Bus = Yeah! There's a clip of the same stunt, from a different angle, after the jump (the sound is better on the second clip). And check out the pic Brian posted of the car stuck in the side of the bus. Think back to your old talking toys. You know, like the Speak and Spell, or the mini Barbie Karaoke machine (what, you didn't have one of those?). Now imagine them souped-up and turned into musical instruments. That's kind of the idea behind Casper Electronics in Troy. 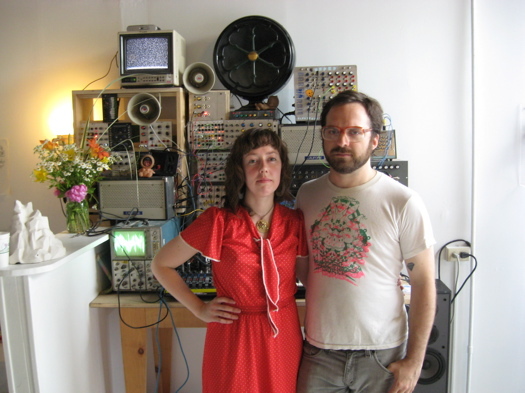 Pete Edwards has been modifying and creating unique electronic instruments for about nine years using things like old circuit boards, keyboards and old toys. He's worked on projects for all sorts of musicians, including Negativland, Mike Patton (of bands like Faith No More and Mr. Bungle) and Danny Elfman. . 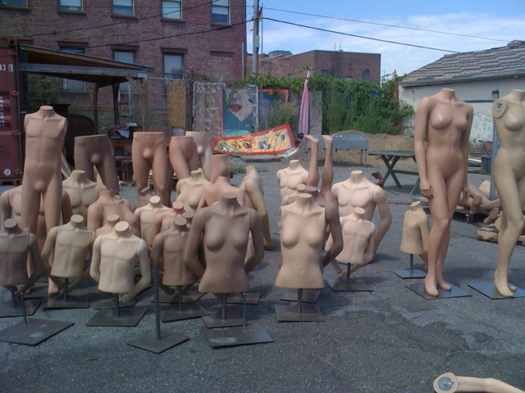 Recently Edwards and his partner Kate Sweater, moved their shop from Brooklyn to Troy. Hmm. Mmmm. Smells like french fries. You can smell Louise Sikelianos coming. As she tools down the streets of Albany in her 1990 VW Jetta, the air smells of french fries. Three years ago Louise converted her deisel to a grease car that runs on a combination of diesel fuel and vegetable oil. It's one of a handful of grease cars that are running on the leftovers at Capital Region restaurants. This is one of the stranger things we've seen lately. RPI student Kyle McDonald built an interface for a synthesizer using a laptop, a webcam and... Skittles. Here's an earlier version of the setup, which controlled a beat sequencer. One of the problems with the first version, as noted by McDonald: "people like to eat Skittles." There's more about McDonald's work -- including a tea cup theremin -- at The Approach. Forks you can't eat with. When your parents told you not to play with your food, they probably meant the utensils too. But what if they knew you could make a living at it. Really. 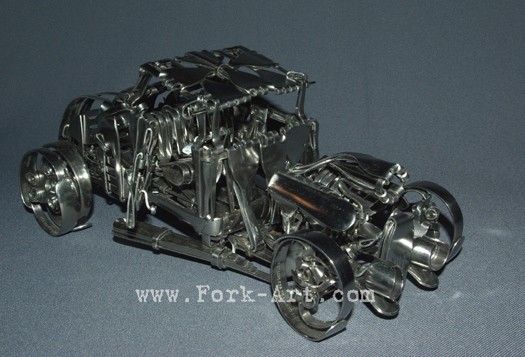 At this year's Tulipfest and Art on Lark events, I spotted this very cool art made entirely of forks. No glue, no soldering, no Matrix-like powers -- just a pair of pliers. graphics for advertising and public relations at EMA in Albany. But on Saturdays Lori Hansen abandons keyboard, mouse and laser printer for ink, wood and steel. A couple of years ago Hansen found a vintage 1880's letter press on Ebay. Fifteen hundred dollars, five guys, a hydraulic lift, an elaborate system of pulleys and a big truck later it was hers. 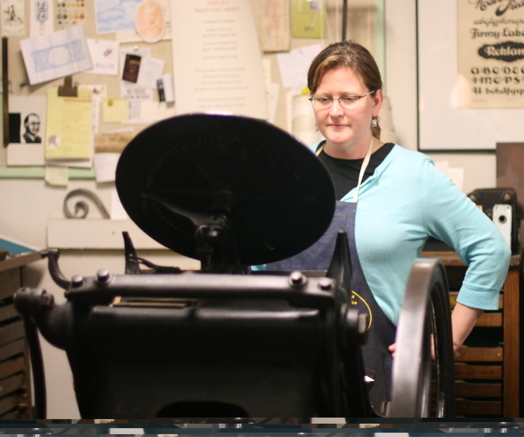 She gave us a tour of her vintage print shop, tucked away in a corner of the Historic Albany Architectural Parts Warehouse, where she prints fun, quirky, handmade cards on beautiful paper. A closer look at Lori and the press, including photos and video of how it works -- after the jump. 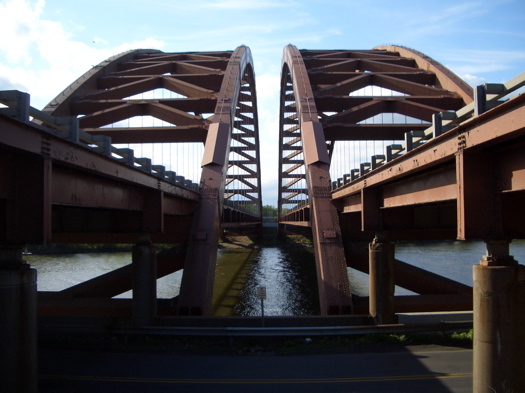 We can't tell you how many times we've crossed The Thaddeus Kosciusko Bridge on the Northway and wondered, "Who was this Kosciuszko guy? And why did they name the twin bridges after him?" Also, we could never quite figure out how to pronounce his name, which is why we -- and almost everyone else -- refer to them as "The Twin Bridges." Well, Pulitzer Prize-winning journalist and one-time Albany resident Alex Storozynski has just answered all of our questions about Kosciuszko in his new book The Peasant Prince. He took a few minutes out of his weekend to give us the inside scoop on Kosciuszko who, it turns out, was a pretty impressive guy: an engineer, an abolitionist and, oh yeah, the guy responsible for the plan that helped change the course of the Revolutionary War. A few details and an early map of his battle plans after the jump. And we also find out how to pronounce "Kosciuszko." Since my husband is allergic to every animal that walks on earth, fish have become the pet of choice at our house. But the over bred and sad little fishies sold at the big box pet stores weren't cutting it. I needed to find fish with gumption. I needed to find fish with the will to live. 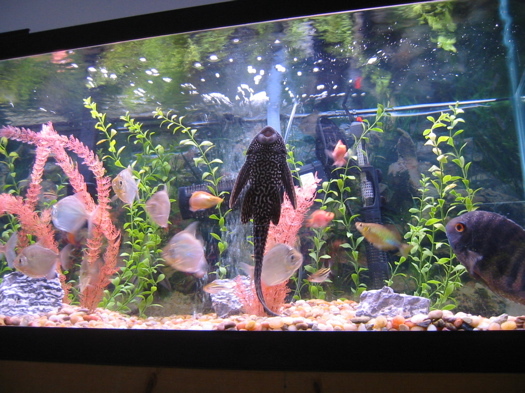 My search led me to a flipping good fish store (I know, but it's really tough to resist a good fish pun). Davey Jones Locker is like a funky little aquarium on Delaware Avenue in Albany. Bindlestiff's -- all the circus, none of the elephants. Not so long ago the circus came to A-town and it started a discussion here at AOA about the poor treatment of the elephants and lions. Well here's a way for those who want to boycott the PETA-unfriendly circuses to experience some big top style thrills. Check out the Bindlestiff Family Cirkus. Winning designer Joleen Button and Lark Street's top model Sarah von Ouhl, wearing a Button designed bikini. So this weekend at Art on Lark, AOA's too-fabulous Jess Pasko got her best Tim Gunn on and joined Kristi G, fashion designers Katie Pray and Gina Ulrich and Upstate Magazine's Christa Dijstelbergen to judge Project Larkway (think Project Runway for local designers and models). This year's designers were Amy Orr , Jill Castle and Joleen Button. Button won. Here's a little of the inside scoop from the judges on how it went down and more pictures from the runway. Say hi to Ann when you visit. What's the most fascinating exhibit at the New York State Museum? The giant woolly mastodon? The Iroquois longhouse? The set of Sesame Street? Ask my kids and they'll tell you it's the merry-go-round on the fourth floor. Ask me-- or other adults that have seen it-- and you might actually get the same answer. 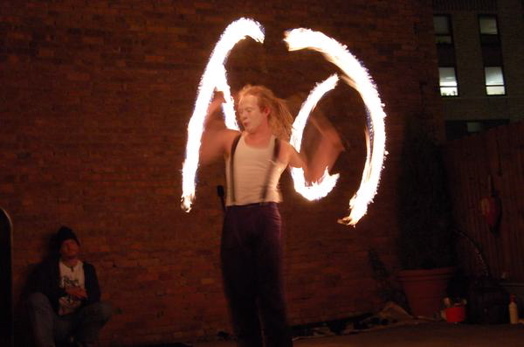 So, remember a few weeks ago when I talked with fire eating hula hooper extraordinaire Dehva Colure and she mentioned a local fire artists meet up group? Mmmm-hmm. Well, I promised more about that later -- and here it is. So it turns out it's hard to get a good picture of a dog getting a bath. "Hmm... should I get the oil changed, wash the car or bathe the dog?" Well, that's one dilemma you'll never have to struggle with again. Now you can do them all at once at the auto clinic/car wash/dog wash in Menands. Yes, the auto clinic/car wash/dog wash. It made sense to me, considering my dirty dog is often to blame for my dirty car. 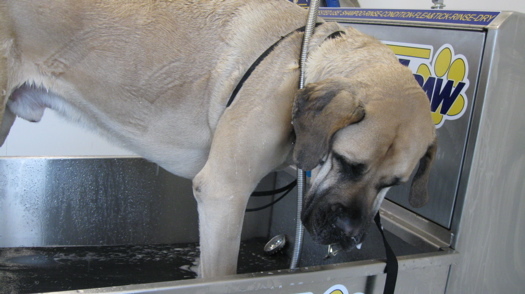 And if you've got a dog bigger than say, a Chihuahua or a pug, then you know what a pain trying to bathe them at home in the tub can be. This week, the pooch was starting to smell a bit from all that rolling in the park so I decided to check it out. 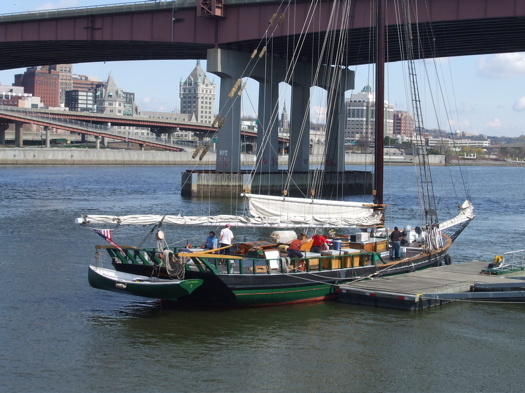 Just in time for Earth Day, the Hudson River Sloop Clearwater is docked at Riverfront Park in Rensselaer. The 106-foot wooden replica of a 19th Century Dutch Sloop travels the Hudson between NYC and Albany to spread the word about fighting pollution and remind people of the beauty of the river. Every once in a while the sloop drops anchor near Albany and gives Capital Region residents a chance to see what it's all about. 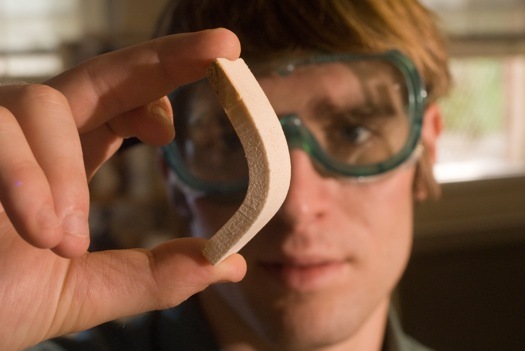 Eben Bayer with a piece of Greensulate. OK, so you've probably heard all about locavorism and the effort to buy locally-sourced, but what about taking that philosophy and applying it to industrialism? That's exactly what RPI grads Eben Bayer and Gavin McIntyre are trying to do with their company Ecovative Design. If you have a couple of hours before the end of October, check out the Berkshire Bird Paradise. Yes, we said bird paradise. 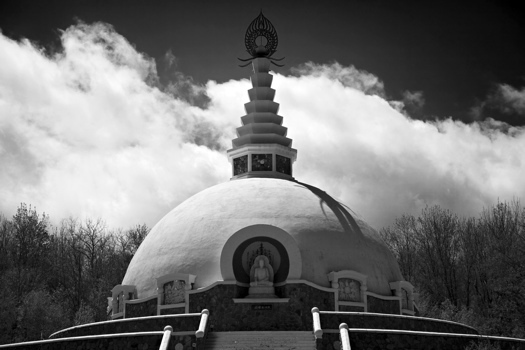 It's about 40 minutes from Albany, easy to find, and totally worth it. 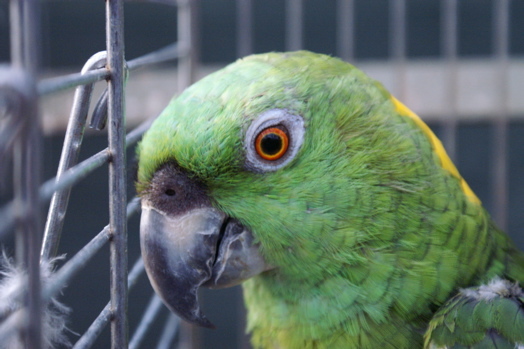 Over 30 years Peter Dubacher has collected/rescued more than 100 species of birds from all over the world and made a home for them at his bird sanctuary in Petersburgh (near Grafton). Don't leave without talking to him (and make sure you ask him how he met his wife). What will you hear and see? Art? From a vending machine? 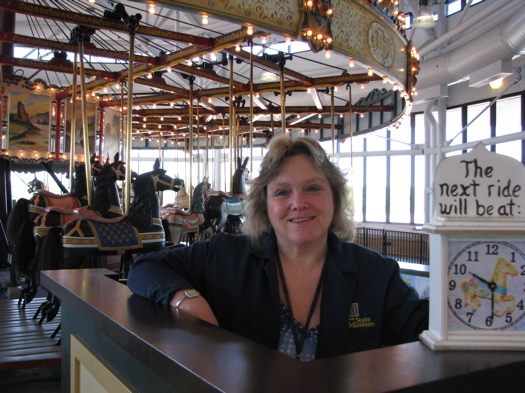 Yes, IPods aren't the only things that come in vending machines here in the Capital Region. 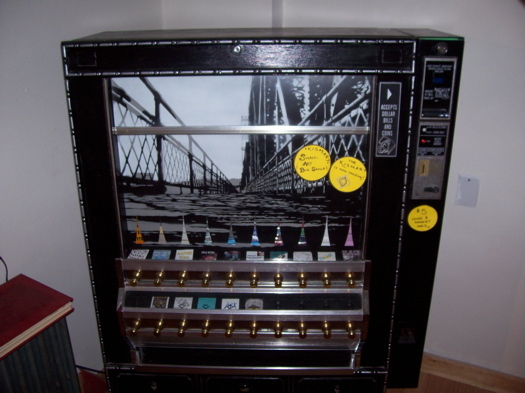 A vending machine* in Troy has been refitted to dispense miniature pieces of art by emerging artists. Yeah, we know It sounds a little weird, but it's actually kind of cool. If you've always wanted to visit a sculpture museum that evokes an auto body shop (and really, who hasn't), here's your chance. Outside Merge's windows in Durham. Check it out: AOA faves Sgt Dunbar and the Hobo Banned are currently on tour through Georgia, Virginia and North Carolina, so they stopped by the offices of famed indie label Merge Records in Durham, NC to play an impromptu show. It sounds like the Merge folks were just sitting there when they started hearing music and looked out the window. 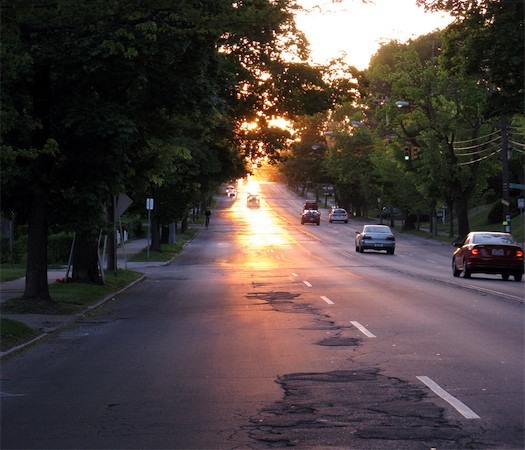 We like how Matthew Loiacono described it: a drive-by Albany-ing. 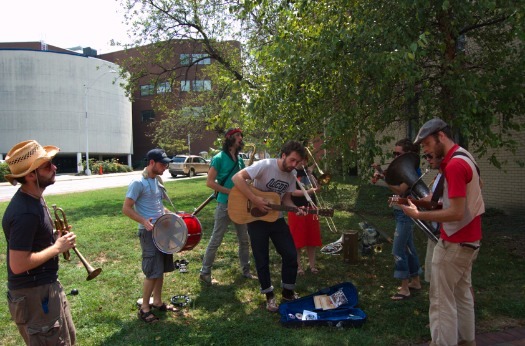 UPDATE: The Hobo Banned reports that the South is different but awesome! What's the most widely circulated book in the Albany Public Library system? A 10 year old coming of age novel by hip hop artist and author Sistah Souljah. Librarians at APL tell us the The Coldest Winter Ever, a novel about a young girl growing up in Brooklyn, is the most requested fiction book in the system. And apparently it's been that popular for a couple of years. What other books are your neighbors checking out of the APL? Admirers slowed traffic Wednesday along Lower Hudson in Green Island. 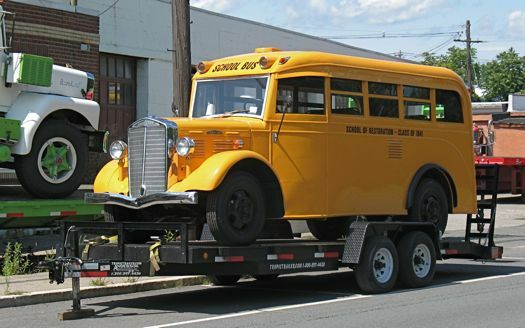 Check out this vintage school bus we spotted this week in Green Island. It's a fully-restored 1941 Brockway bus, seats eight (plus the driver), and is probably the only one of its kind left. You know there's a story behind this (pictures, too). 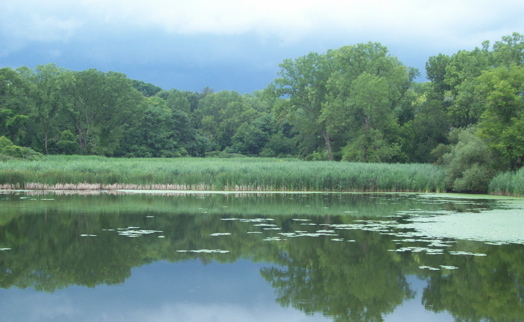 Tivoli Lake in Albany's Arbor Hill/West Hill neighborhood. New York's largest urban nature preserve is Central Park in Manhattan. Where's the second largest? Albany's Arbor Hill. Yeah, we had no idea either. 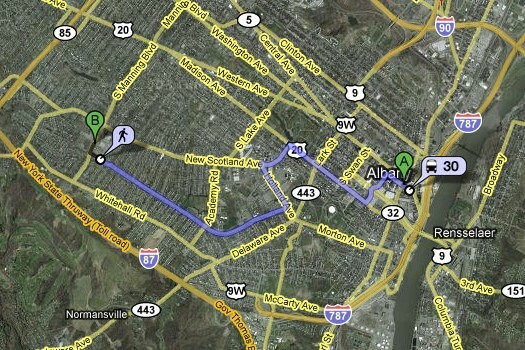 The downtown Albany to St. Peter's example. As ThisQualityLife reported in a comment earlier this week, coverage of the Capital Region on Google Transit started today. And it is pretty cool. We can see this being really helpful for bus riders -- especially people who ride only occasionally (it's probably easier than getting a coach). But even if you never ride the bus, it's kind of fun to play around with these maps. Hey look kids... it's "The Carbeque"
If you're passing through Saratoga on a weekend, here's something you might want to check out. 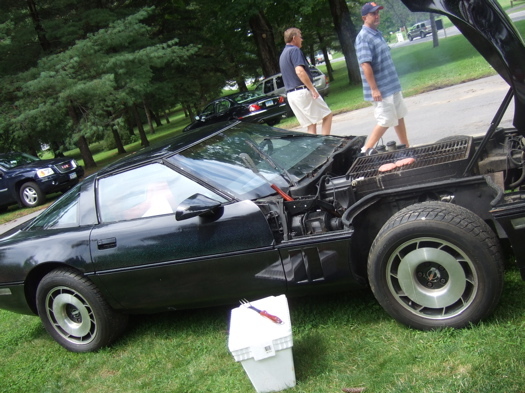 Emil Onzo and his Carbeque have made the Saratoga Auto Museum their weekend "base of operations." The car-be-what? 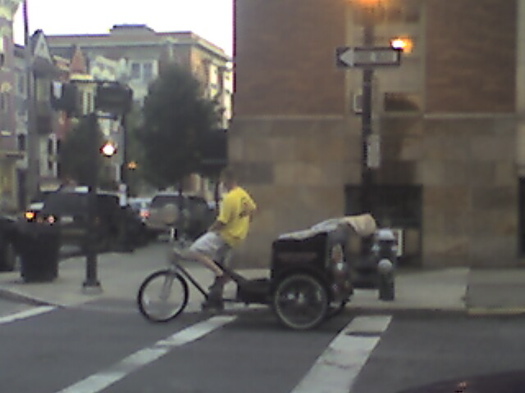 The Carbeque. It's just what it sounds like. A combination car/barbecue. The little village of Round Lake is home to one of the biggest pipe organs in the country. It's also one of the oldest pipe organs in the country. Turns out the village once served as a Methodist meeting camp in the late 1800's. 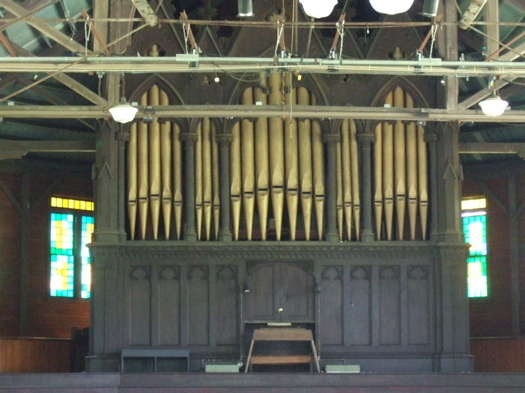 The organ lives in the Round Lake Auditorium, which at one time was used for church services. 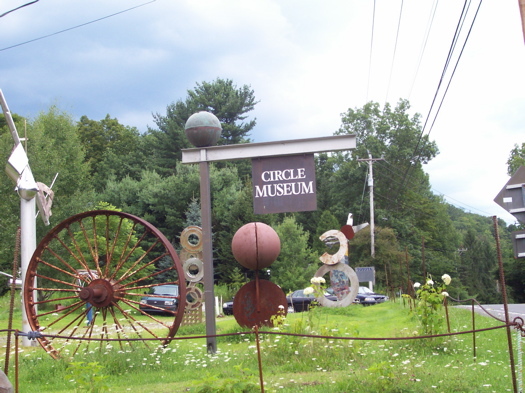 Today it's used for concerts, antique fairs, plays and other village events. Organ experts will tell you this impressive instrument with it's massive array of sounds is a Ferris three-manual tracker, but really, do you know any organ experts? We don't either. So we checked into a few interesting details ourselves . Here's what we learned. We love this picture by Flickr user iessi (we think her actual name is Jessica). It's like Western Ave leads off into the sky. Be sure to check the Albany photo set by Jessica -- we particularly liked this funny picture of Nipper.